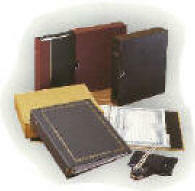 Our incorporation options feature various levels of supplies, including records books, certificates, and seals. In addition, we are pleased to offer the following packages to meet your needs and those of your clients. Please contact us to discuss in detail. 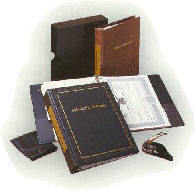 A gold decorated vinyl binder, corporate name is printed on replaceable gold leaf spine insert. Available in black or brown. 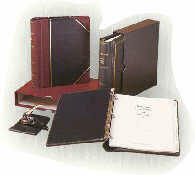 A rugged, extra-strength 3-ring binder that is as attractive as it is durable. 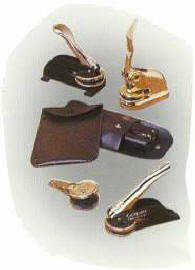 Binder is decorated in gold, and equipped with metal hinges for additional strength and security. Available in brown, black or green. 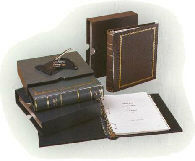 A luxurious leather-like cover and classic rounded library spine, with triple-post binding to secure your documents. Available in black/burgundy or green. 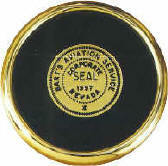 We offer a wide variety of desk and pocket seals, including corporate, rotary, and the "From the Desk of ..."
Our company provides lithographed Over-the-Counter and American Stock Exchange certificates. 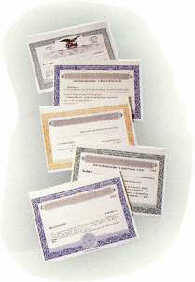 We can supply certificates for every corporate need.